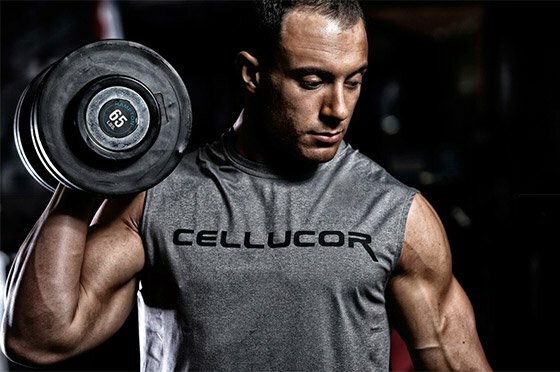 Size Made Simple: 4 Ways To Go From Small To Swole! Having a hard time building size? 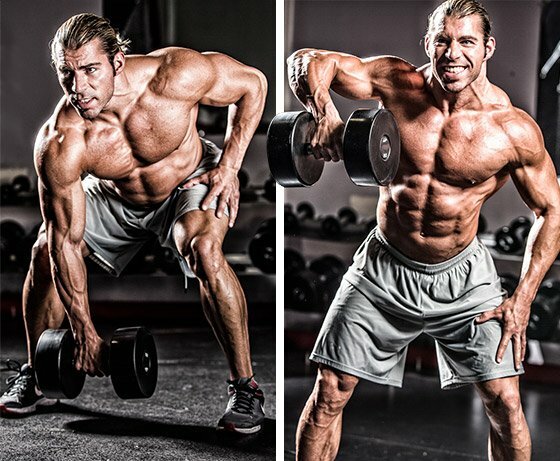 Follow these four simple tips and start adding some quality mass to your frame! The world and most of the gym-goers in it are currently obsessed with weight loss, and understandably so. But as a side effect, it feels like nobody cares about you if your goal is the opposite—to gain weight, especially the right kind of weight. Ectomorphs need help too! It can be a challenge to add quality mass that helps you feel stronger and better about how you look. But many have done what you're trying to do, and their wisdom can help you reach size-gain goals you previously thought were off-limits. Forget what hasn't worked in the past; let's make this happen once and for all! Australian bodybuilding sensation Calum Von Moger knows a thing or two when it comes to building muscle. When he offers guidance, you'd better pay attention, especially when he says to make friends with free weights. "My top tip for anyone, particularly beginners in the muscle-building world, is to utilize free weights over machines," he says. "This is crucial for not only developing core strength, but also developing your balance and coordination, which is important if you want to handle heavy compound exercises with correct form. If you use free weights with correct form and moderate to heavy weights, the size will come!" If you use free weights with correct form and moderate to heavy weights, the size will come! If you're used to training with machines, you know their advantage. Namely, you don't have to know how to really use them in order to use them. So when you make the switch, recognize that the way you lift is now as important, or maybe more so, than what particular movement you choose. Simply throwing weight around and trying to imitate what you see other lifters doing isn't enough. Recent research has identified mechanical tension, muscle damage, and metabolic stress like cellular swelling and lactic acid buildup as three of the main training factors that influence muscle growth. To maximize all three, you need quality reps and lots of them. Learn how to lift correctly, and then amp up the weights reasonably—"moderate to heavy," as Von Moger says. Going so heavy that you can't manage a full range-of-motion, or that you can't hold proper form, is going to leave you either wondering what went wrong, or sitting at home rehabbing an injury. Tension, muscle damage, metabolic stress. What's missing from this muscle growth equation? Calories! As Team Cellucor Athlete Daniel Lourenco will tell you, to get big, you have to eat big. "In my experience, most people have no idea how many calories they're consuming, and for people trying to add mass, they're usually eating much less than they think they are or intend to," he says. "If you're trying to add size, and especially if you're eating clean, you'd be amazed at how much food it really takes to hit your caloric goals. It's a lot!" Working out but have yet to see gains? It could be your meal plan. Clean up your diet and learn how to pack on the muscle and pass on the pounds with these nutrition tips. Does this mean to eat everything in sight? Of course not. As a matter of fact, you have to be just as concerned about what you eat as someone who's looking to lose weight. You need quality sources of protein, a combination of carbohydrates from established sources like oats, sweet potatoes, fruits, veggies, brown rice, and quinoa, and healthy fats from fish, nuts, and seeds. Of course, water is essential too. Take in at least a gallon a day. While you're at it, though, remember that food isn't flavored oxygen. Don't inhale your meals! Take your time and remember to chew. It's well-known that eating quickly can negatively impact your digestive system, leaving you feeling bloated and unable to choke down another meal later in the day. But when you chew your food adequately, your body also absorbs nutrients more quickly and more efficiently. Why bother to eat all that food if you're not going to make the most of the nutrients in it? Far too many skinny lifters start their journey to the Promised Land by buying a kiddie-pool-sized jug of low-quality mass gainer full of junk and mystery ingredients. Then they expect it to do most of the work for them. Big mistake! News flash: Your training and your diet are where real gains are made. Supplements are just ways to help the same thing happen a little faster, and a little more predictably. Don't depend on them for anything other than a leg up. Just as with training and nutrition, you need a strategy when it comes to supplements. Here it is: Until you're making consistent progress, stick with the basics: whey protein, creatine, branched-chain amino acids (BCAAs), and a multivitamin. These tried-and-true performance aids will help you get the most out of your training, and they'll boost the areas in your diet that have been shown repeatedly over time to lead to muscle growth. As you progress and make gains, you can reevaluate and look into adding other products. Remember that one Christmas present you wanted really, really bad as a kid? You have to want to reach your goals even more than that. You just can't hope this will happen for you. You have to focus all your training energy on the goal of gaining muscle, to the detriment of any others. Now's not the time to obsess about having super-defined abs, or to sign up for that ultra-marathon you read about. If you want this, you must keep going, even on those days when you will feel like you can't. Don't be surprised if your determination puts you at odds with other people and their training goals, or lack thereof. That's fine. Let them go their way. Anyone who aspires to lofty ambitions will have to deal with doubters, haters, and self-questioning. "Will I do it? Can I do it?" You can, and you will. There is only one guaranteed way to fail in this project, and that's to quit. If you want this, you must keep going, even on those days when you will feel like you can't. Once you reach your goal, you'll not only enjoy more muscle, you'll have increased mental strength from all the discipline and patience you've needed to get there. Those attributes will serve you well no matter what comes next in your fitness journey. Looking to eat like a true alpha male? Return to your caveman roots and feed your muscles with these carnivorous wild-game recipes. Looking to improve your chest gains? Here's what you need to know to put your chest to the test. You don't need to be a strongman competitor to use the lifts! These 7 gym-friendly strongman moves and their variations can help you achieve your strength, fitness, or physique goals!